The most popular blog posts on my blog are all about the same thing: How to navigate your creative business as an introvert. So I'm betting that you, dear reader, are an introvert. As I've just undertaken a weekend of maximum-human-contact (a long flight, followed by a conference full of people I'm excited to talk to, followed by catching up with college friends), I'm thinking a lot about how to survive it all as an introvert. You might be like me, an introvert who’s friendly and chatty (and if we know each other well, VERY talkative). Or you might be an introvert who’s shy and quiet. Or somewhere in the middle. As an introvert, you get filled up and energized by being alone. By being quiet (maybe reading, crafting, pinterest-ing). Being with people can wear you out and make you feel overstimulated or frazzled. It might feel like, as an introvert, that all the small business advice is for extroverts: Go meet people! Network! Do craft shows! BE WITH PEOPLE! TALK TO PEOPLE! WHAT'S WRONG WITH YOU IN BED WITH YOUR CAT?! 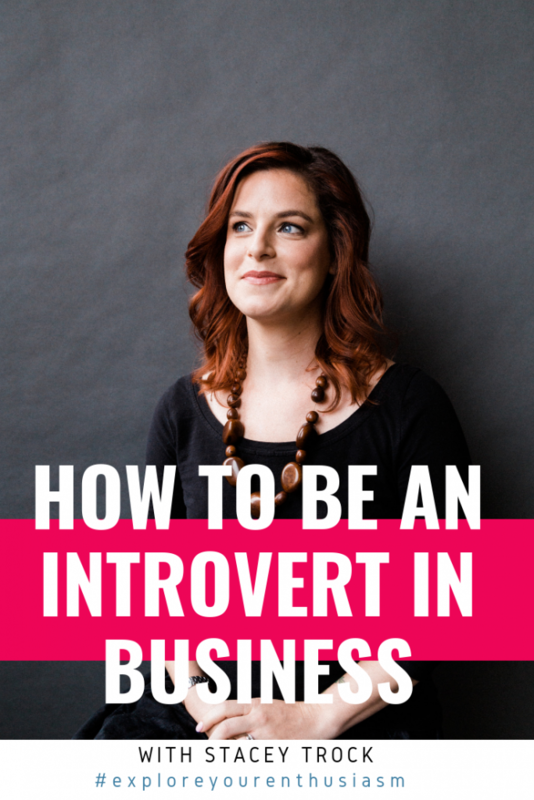 But I'm here to tell you, you can be an introvert and thrive in business. You can be an introvert and thrive in business. As you might know, I'm extremely enthusiastic about making your business work for you, and this introversion thing is just another opportunity to make your business fit YOU, instead of pushing yourself to fit some outside standard of acceptability. New this week: Conferences for introverts! 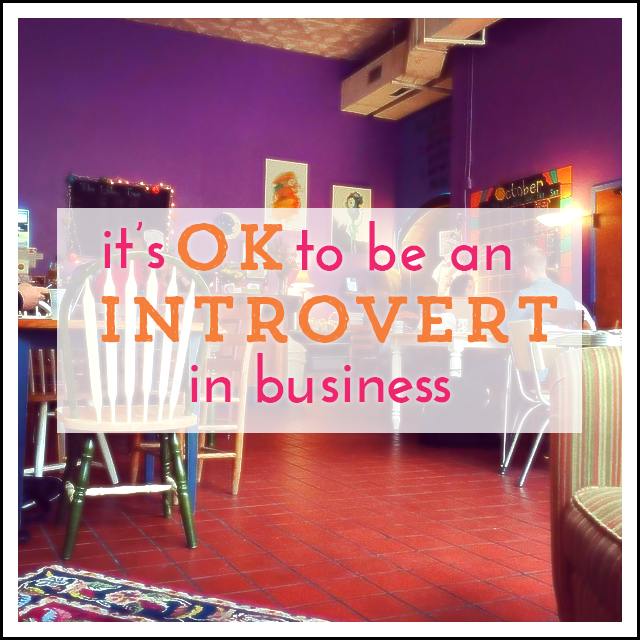 I hope this helps you believe it’s OK to be an introvert and that it guides you to building a business that fits with your personality (no matter what it is!). If you’ve got an introvert friend who needs encouragement, please share it with them using the social media buttons below.